During the last couple of years, the freelancing market has boomed with millions of people giving up their day jobs and choosing to work from home in industries which they love. However, finding a steady flow of work, unaffected by large commissions can be quite difficult in the current state of the market. In fact, centralized industry leaders, such as Fiverr, Freelancer, Amazon’s Mechanical Turk and Upwork charge large transaction fees, hence affecting the amount of profit freelancers make. The problem lies with the high number of expensive middlemen facilitating transactions. To bring a fix to this issue and improve the freelancer market, StormX has rebranded its BitMaker application to Storm Play, and kicked off the integration of Blockchain technology within the app via STORM tokens. With this in mind, Storm Play can be regarded as the foundational piece of the greater gamified micro-task marketplace. 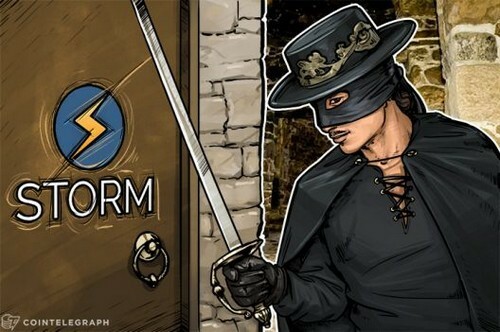 At this time, the Storm Market focuses on user engagement gamified micro-tasks, but in the future, the company plans to create three different categories: promotional user engagement (Storm Play), shopping tasks (Storm Shop) and freelance gigs (Storm Gigs) including both micro-tasks and longer-term contracts. Already, via Blockchain technology, Storm Play matches Storm Makers with Storm Players on tasks that take five minutes or less to fulfill. Upon the task fulfillment, these freelancers are rewarded with the relevant number of tokens for the task in question, with minimum human intervention. It is expected that the Storm Market will be used by individuals, advertisers, gaming platforms, publishers, recruiters, machine learning companies and more. Storm Play already has a fast-growing base of over 307,000 monthly active users from over 187 countries. Outside of Coinbase and exchanges, Storm Play likely has the largest crypto-focused community user base. Those who are interested in trying out the platform now should know that there are a ton of real products available on Storm Play already, such as Hulu, DraftKings and even Uber. Fulfilling gamified micro-tasks allows you to earn rewards made in STORM tokens, BTC or ETH. StormX is holding a public crowdsale, currently in progress. Once the Crowdsale is over, distribution will be 41.74 percent for sale, 23.26 percent locked, 25 percent for the company and 10 percent for the users. Currently, one ETH is worth 26,950 STORM Tokens, whereas one Qtum is worth 1,152 STORM. There are still three more days to participate before it is over. To help make the project a reality, the team is blessed with a top-tier advisory board, including Bill Shihara (CEO of Bittrex), Jeff Pulver (founder of Vonage and founder of VOIP), Tom Bollich (founding member of Zynga and CTO of MadHive) and more. Additionally, the STORM team is working with Qtum to help promote the Qtum Dapps and gain additional access to the Asian community. Don’t forget their already-established awesome partnership team, consisting of Jaxx, ZenCash, Kyber Network, Bancor and more.